Why is it wrong to start a "popular at the moment" blog? Bloggers are of many types, Some are the argumentative type and some are stickers, but recently one more type of blogger has crept up. The opportunist Blogger. Such people are not a rare sight on the web nowadays. Their creations are not hard to miss. Even you might have seen some of their creations. Okay lets see, a blog on the recent chess tournament, or on certain hot political topics, or on current trends, infamous actors, musicians, or famous personalities, award functions, high profile parties and even viral videos. The opportunist blogger seems to find the most intriguing and the most happening idea at present and converts it into a highly talked about website with a lot of agglomerated content from different sources. One more thing worth noting about opportunist blogger is that their websites might, at one point of time, be swarming with visitors, filled with seemingly unending comments and discussions. Little do people know the PERILS OF BEING AN OPPORTUNISTIC BLOGGER!! Let us first see the process of Opportunistic blogging. A person (The opportunistic Blogger) sees a trending topic. Lots of users discuss about the topic and forums are filled up with discussions on why one side is better than the other. The blogger takes up the topic, Finds and collects as much information as he/she could and spends the rest of the day churning the information.He then spends the rest of two days preparing the blog and publishing the information so produced. Then it is just simple work of maintaining the blog with small pieces of gossip that he finds in the foreseeable future. 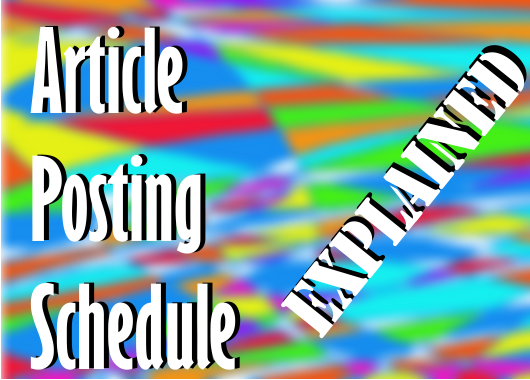 He does not care for a blog posting schedule, or what would happen if he stops the posts, just because he/she has the content, he thinks he can enslave the search engines and control the flow of visitors. Let us see the bright side of Opportunistic Blogging, The person receives a lot of visitors during the time the trend is hot. 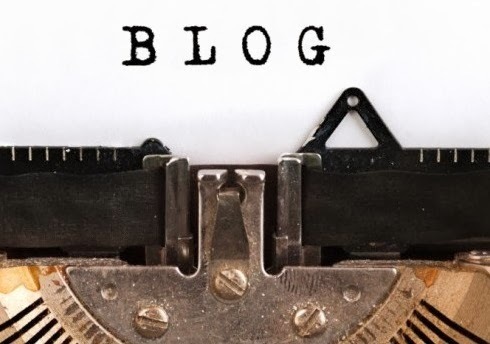 The sudden surge of visitors often surpass the number of visitors a well to do blog manages to sustain. The blog becomes one of the most talked topics on the web (Of-course after the phenomenon it was made on). The blog manages to gain visitors in six digits with bounce rate as low as 25%. It garners back-links from the most respectable of websites and gains the trust of most cautious of webmasters. After the advantages, I bet you must be feeling nauseated and green with envy, I felt it myself as we spent hours working on topics churning concepts, creating beautiful and marketable designs, but he takes all the credit? Why? Webmasters, control your heat, cause here comes a string of disadvantages. A popular at the moment blog as the name suggests, is just popular at the moment. There comes a time when the water dries off and the merriment comes to an end. Since the popularity has been diminished why would someone in their right mind would want to come at such a blog. In simple words, the blog would have lost nearly all his visitors. Bounce rates would first increase of-course (As people would come to revive a dying trend but would return due to lack of content) but then the values wouldn't matter. Pages per visit would decrease to 1 or zero and then the blog (after a long struggle) could have said to finally rest in peace. What use would such a blog cater, when the fame is short-lived? "What is glory if not eternal?" How ever there are moments in internet history when a blogger does not have the time to capitalize on the situation. This situation can be known as the "missed peak" situation. This is because by the time, blog is prepared and made, peak has ready passed, public interest has already reduced. It is worth noting that sometimes blogger do gain some advantage from the peak by forecasting the peak in advance, but that is not common and hence cannot be replicated by most. Consider the case of a very popular Indian Song "Kolaveri Di", The song was released two weeks prior to its actual release and became a hit instantly. Take a look at the graph from Google trends. It is conspicuous from the graph that it was next to impossible for a regular blogger to capitalize on the situation. A potato blogger however, would obviously miss the peak. So, when should you start a popular at the moment blog? When you are looking at a trend which you know would die. When you are looking for some quick money and quicker fame. Now, when you decide and know the risks, you can go an buy a domain for 3 months, 6 if you're optimistic and just crack-on. Today we have amongst us, a very unique professional. Unique not by the website, but by the work. Ofcourse he belongs to the class of creative individuals who seek an outlet through a web portal, but, he isn't one of the bland insensitive bloggers we see now. Yes, He is different. If a picture can say a thousand words, meet the man who writes 6000 words a week. The name Reza Farazmand, always creeps up in my mind whenever I think of comics. My brother and I have been following a ritual. Every sunday we would sit infront of the computer screens and browse through comics which included Ragestache, xplosm, pearls before swine and ofcourse poorly drawn lines. We would always start with pdl because we wanted our happy hour to start with a bang. So imagine my delight on getting a reply from Reza aggreeing for an email interview. I wouldn't start with an introduction to our guest, as you would figure that out from my questions itself. Mohit: Tell us about yourself, I gather you were a student at UCSD, who used to publish comic strips in the Campus magazine. How did it grow to an online comic giant with a page-rank of 4? Reza: I started publishing Poorly Drawn Lines as a weekly comic strip in the UCSD Guardian my freshman year. At the time I was beginning to read a few webcomics, and I realized I could reach a wider audience if I published PDL online as well. So my friend built me a website and PDL became a webcomic. I didn’t take it very seriously until after I graduated and started drawing three comics a week on a regular schedule. From there the site slowly gained a small readership, and it’s been growing ever since. 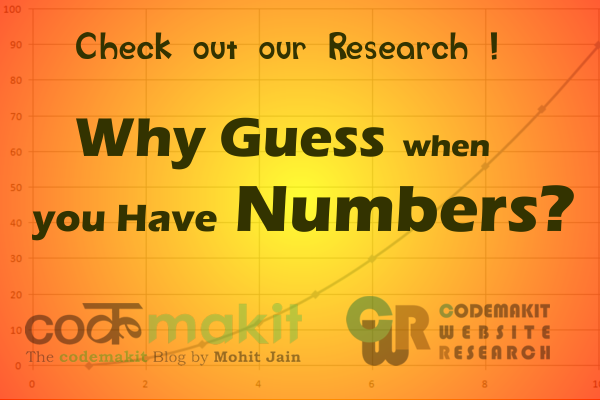 Mohit: It must have been more than 5 and half years since you started the website. How did you and the website change during these years. Reza: My drawing and writing styles have both changed quite a bit compared to five years ago, or even just one year ago. I’ve found a lot of new influences and inspiration in that time, whether it’s my surroundings, my social life, or discovering other artists. I aim to keep growing in that way. The site itself got a brand new design a couple years ago. It also aims to keep growing, but it’s happy with the way it looks right now. Mohit: Tell us about your process of comic creation. How do you do it? 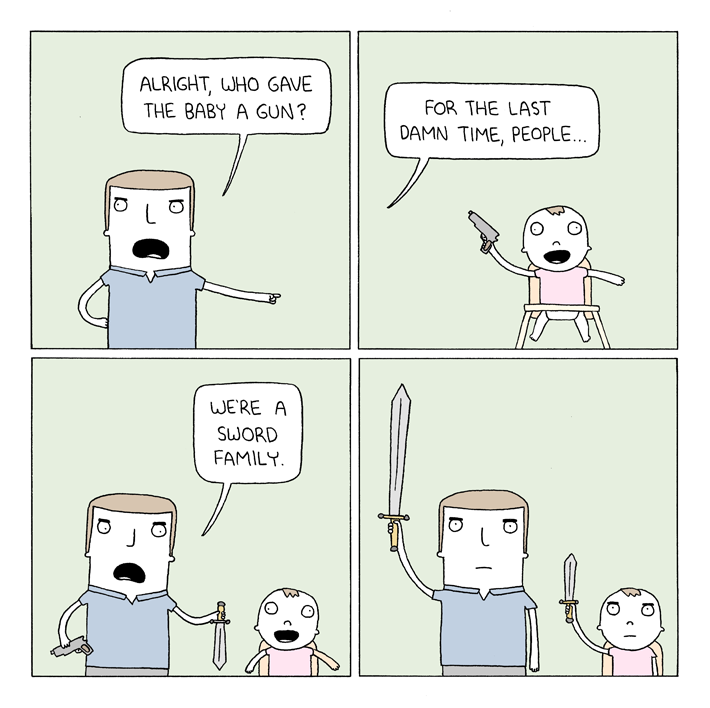 And what is the thought process when you start with a comic? Reza: I draw everything with pencil and paper first. Then I ink the lines, scan the whole thing, and add the color in Photoshop. I use a graphics tablet for that part. 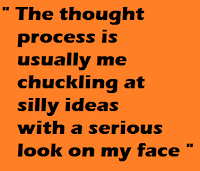 The thought process is usually me chuckling at silly ideas with a serious look on my face until I land on something I like. It’s the most serious chuckling face you’ve ever seen. Mohit: You have invested in advertising as well as online merchendising, Which of them contributes to a better part of your earnings? Reza: Advertising currently outpaces my merchandise earnings, but the two are slowly growing more equal as merch sales pick up. Mohit: How do you decide what strip should be added to the store? Do you take custom Orders? Reza: I take the most popular comics and turn them into prints. That doesn't always work, though. Sometimes a comic will perform really well online, but people aren't necessarily interested in owning a physical copy of it. I'd like to be able to take custom orders, but at the moment I use a print shop that requires a base number of prints per order, so I need to make sure they'll sell before I have them made. 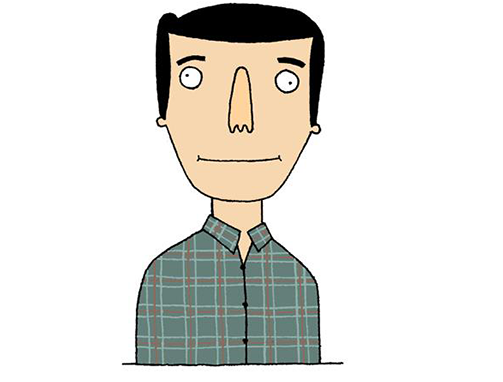 Mohit: Your initial website was created by Marco Segreto in 2008 then you moved to Danny Walcoff in 2011. What do you look in a Web Designer/Developer? Reza: Both of those guys are close friends of mine who offered to design the site. Marco built PDL 1.0 when we were in college, and Danny put together the site you see now. So I guess what I look for in a developer is someone I went to high school with. Mohit: For a comic website, search Engines like Google do not have a system to determine what is in an image however hilarious or popular. Blogs on the other hand are filled with text that give a lot to process and hence determine a website's worth. Doesn't it bother you? 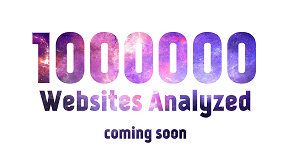 Reza: I’m glad to have a site that doesn’t rely too heavily on search ranking or keywords. It’s cool to see how it’s grown just from people sharing it with their friends. Mohit: Lastly, what advice would you give to budding enthusiasts? Reza: Draw every day, write every day, and start building your web presence. There are so many avenues to get your work in front of people right now. This is an amazing time for creators. Note 1. to the readers, the comic strips above this point are the recent favorites of Reza Himself. 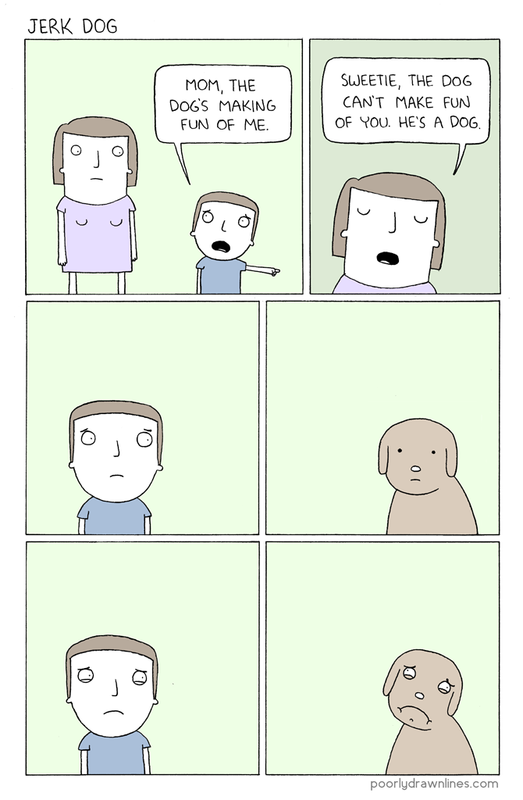 But, now its time for MY favorite comic strip. This one left me laughing on the floor, clutching my stomach with tears in my eyes. Note 2. I am not including this comic to increase the length of my article. You would believe me when you reach the end. Readers have obviously visited PDL scores of times, but for the few and new, you can visit PoorlyDrawnLines to view some of the most ingenious creations of Reza. If you need to get in touch with him or need regular updates from PDL, You can follow him at his twitter page, like his page at facebook or see the latest comics at tumbler. That's all for today. Readers, If you have a question to ask our Guest, Kindly drop it in the comment box and we'll get it across. 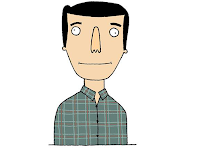 Codemakit had also conducted a really amusing interview with renowned cartoonist Chris McCoy of Safely Endangered recently. Be sure to check it out too. Today we have a web design company which has crossed the boundaries of simple web design/ app creation. A company which has defied the conventional methods of professionalism and created an atmosphere which reeks of productivity and creative enthusiasm. Jetbro is an Ahmedabad based company specializing in IT services and digital solutions. It's motto “Art with sense. We deliver what your mind thinks.” creeps up into the mind when you see its main/portfolio/about page. I would not delay the imminent anymore. Let us see what 'The Den' has to offer. Mohit: Let’s Start with the history of JetBro. How did you start? How did the group form? 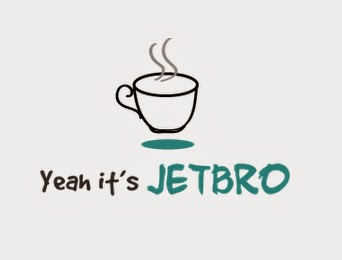 Jetbro: Ours is a young team of passionate and dedicated coders, developers, designers, artists and professionals. Jetbro started its operation way back in the January of 2011, with a team of three including our two founders (Mr. Ishit Jethwa and Mr. Sharva Jethwa) who operated it from two separate countries, UK and Australia along with an intermediary in India to take care of the local business. Jetbro was self-funded by the salary that Sharva (Founder) earned then, working as a lone developer in an Australian firm. Ishit (Founder) in the meantime took care of the marketing and finally flew down to India, in the June of 2011, to set across a fully functional operational market that we claim today. The initial days were rough, where we had to convince our clients on the market possibilities of getting online, while Ishit went on foot from one organization to other, understanding their business issues and offering them with digital solutions. Today, the Jetbro family banks on happy clients and a self-motivated team, proud of their work and projects and beaming with future possibilities of working towards to a digitally advanced tomorrow. Mohit: You started in 2011, and some of your initial projects were Blue Lotos, Dakara Dirt etc. As a start-up how did you manage to bag the initial projects? Jetbro: Finding good and exciting projects is difficult for a startup. We accepted that early on. But, we knew that nothing would come easy, unless you prove your worth. The solution was to accept that and keep looking for opportunities, that justified what we stand for and striving across, to address issues in firms and organization that seek digital solutions. Our initial projects were those that we applied to and claimed online through leads available on several web portals. Mohit: I reckon that from your website and the company profile, people see you as a hip, carefree group. Is it a mirage or is your 'den' actually as cool as it sounds like? Jetbro: Cool? Well, we have so far refused to put any label on us. But yea, if “Cool” is something you feel that relates to us, then we’d rather go for the “Bloody Cool!” tag. We have always been like that. Bold and staying true to our professional values and what we believe in. The Den is a special place. It isn't the usual corporate environment. It’s young, alive, brewing with ideas and rocking on some pretty heavy music. The Den is where the artists within our coders, designers and professionals come alive to stir across innovations that bank on futuristic digital solutions. Mohit: I especially found your BRTS app really useful. How important is making applications for mobile environment? Do you think that the future is slowly moving towards a world with "Lesser websites and more apps"? Jetbro: Catering to the mobile environment is extremely important. But the notion that “the future is slowly moving towards a world with lesser websites and more apps” is untrue. The future isn’t restricted to mobile phones; it relies on a technology that caters to all devices. Being a digital agency we believe any digital service that is futuristic should cater to every kind of audience and on every available platform. Be it on the web or the different kinds of mobile devices. Developers should never shy away from making their services adaptable to every screen in order to deliver universal digital solutions. Mohit: Now a question regarding your website. Usually service websites are filled with information and data (including pricing, detailed description of works done etc), your website on the other hand focuses entirely on the aesthetic aspect of web design. Customers are supposed to extract this information from you through your contact page. Do you think aesthetics are better than functional information? Jetbro: Aah! We are so glad you asked. We do showcase our work, but here’s why we haven’t put up any functional information. Putting up a price on our solutions is another thing the Den refrains from, which has been discussed in our blog where we elaborate on why it’s a dilemma to put a price on the websites we build. Here’s the link to the same, How much does a website cost? We don’t want to be conventional and neither do we want our clients to expect “the conventional” when they approach the Den. Defining the services and putting a tag on them, makes them conventional. Defining the kind of solutions we offer, means the client already has a line of thinking on how things will get done and they’ll want us to stick to that routine. However, at Den we vouch for challenges and not routines. Every client project is tackled with a fresh set of ideas, designs and a whole new approach. We might have done the same kind of project earlier but we don’t want this one to be a repetition of our earlier work. For us every new project demands a fresh zeal of enthusiasm and innovative outlook and that’s the reason we don’t define our ways. We love clients who are equally experimentative and looking to invest in “New Ideas”. Mohit: Tell us something about your recent apps. Jetbro: We pride ourselves on being the first ones who launched a BRTS app for Ahmedabad, while the rest followed. And as has been the tradition now, we've strived ourselves to deliver yet another app - Ahmedabad Otlo, dedicated exclusively to the beautiful city and people of Ahmedabad. Our goal has always been to make the lives of an everyday citizen easier using technology. What makes us so proud with Ahmedabad Otlo is "Show Love", where we encourage users to share concerns regarding problems in their local area in Ahmedabad that needs immediate attention and garner "supports" for their cause among fellow Amdavadis and help us build a beautiful Ahmedabad. You can download our app Ahmedabad Otlo. We would love to know, what our fellow Amdavadis think of the app through this platform and encourage feedback from them, to help us improvise and deliver the best, to a city, that we love and cherish so much! Mohit: As a standalone firm offering variety of services to a variety of customers, you are bound to have some depressing days. How do you deal with them and how do you keep the morale of your employees high? Jetbro: Yes! We all have those moments. But sulking ain't our style. We re-group, re-assemble, conduct brain-storming sessions with our clients and work on weekends if we have to; unless we are sure that the project has truly accomplished our client’s purpose and motive behind the same. Client satisfaction is our ultimate “high” and burning midnight oil to serve that kind of satisfaction is just something that our professionalism calls upon. Ours is a bunch of self-motivated and driven individuals and that’s the reason why we never fail to triumph and find solutions even amongst utter chaos. Domain & server, Web design, Content creation in web Sphere; Tablet specific design, Branding & Logo in Design Sphere; Online and viral marketing; customized crm, data analysis, mining and modeling, phew! the list goes on but thankfully not the article. Visit Jetbro's website (At-least to see the about page section). Like them at Jetbro's original Facebook Page or follow them @jetbroden at Twitter. Technomugs, The Official Blog at Jetbro, Young ideas, recent trends and everything from their coffee conversations to their new launches gets talked about there. Though no one has ever attempted such a valiance before, but JetBro was the first firm, which actually took the liberty and the pains of writing an article about codemakit on their own blog. Take a look at this graceful Technomugs Article which depicted codemakit in a new way. An interview with an Indian firm is really interesting, but if you need something about an Indian web design personnel you can read an interview with Vinay at TechPrevue. Today, codemakit presents to you, yet another exceptional design entity, which created codemakit's own logo in 2013. In the past codemakit has posted interviews with individual designers, but for the first time, we present an article with a design firm. Logopeople was created in 2009 and within just 4 years of its inception, the website brandishes more than 5000 satisfied customers from Australia and New Zealand. The motto of the company is to provide its client a logo which is unique, identifiable and captivating. With economic design costs and extraordinary products, the firm is one of the fastest growing graphic and web design firms in Australia. The workflow for the company with respect to logo design is very simple indeed. Once you select the firm for your design works and place the order, You just have to fill up a questionnaire about your needs and aspirations about the project. Based on the questionnaire, expert graphic designers get to work and provide you with a variety of designs for your perusal. You are then required to submit suggestions on the design after which you will be presented with another improved and refined design. For most customers the process ends here. But if you're a fussy one, you can still ask for more changes and believe me the design team will happily oblige. After your final approval, the firm would deliver all the finalized vector based drawings to you in High Resolution. In the Logo Design Order form, the website asks you several simple questions to get to know what you are looking for in the design. For example, the text of the logo, Taglines. You now will be presented with three choices of Logo design, (Text Only, Iconic or Text with graphics). Next your ideas will be asked, and then some information on the products and services the company is offering. Lastly for some design input from your end, you can provide some logo samples that you like. Then comes your color preferences (i.e. which color you like and which you despise). Once done, you just have to submit the form and let the logo People take care of your project. (Interested customers can place your order in the 'order form' provided at the website). The Firm Logo People also has an affiliate program where people can have an opportunity to earn money without investment, The catch is simple enough, you just have to find graphic and webdesign projects for the firm and overlook the project from inception to end. You will receive commissions and hefty benefits along with total control over the project. Mohit: Tell us about yourself, how did you start in the design genre in website development? 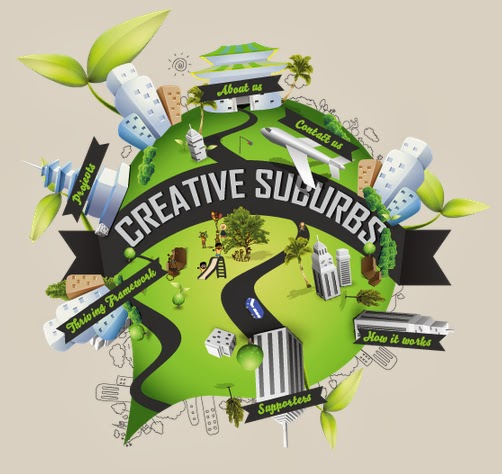 Logopeople: Creative graphic design has always been my passion. I always like to create something original for my websites. 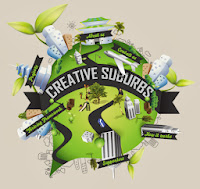 My aim is to get to the core of an idea and then bring forth it essence in the form of original unique graphic designs for logos, website or print designs. Mohit: From Engineering companies (Moon Engine), Sculpture Studios (Anne Anderson) to Wine Companies (Yarran Wines) Logo, You must have a string of impressed and satisfied customers (Including me). How do you manage such feat? Is it your fees, your way of working or something else? Logopeople: My first approach to any customer is to make them feel comfortable. The customers feel that they are with their friends. I discuss their requirements and give them practical and economical suggestions. I try to work within their budgets giving them the best quality work. I also do a lot of research so that I can give my clients the best and most trendy branding artwork.You can visit to our website for portfolio. Mohit: During your tenure in design, you must have had some setbacks too. Our readers would like to ask you, How do you deal with depressing days? Logopeople: I deal with setbacks in 2 ways. First way is when client is not happy with my work.Then I have meeting with client and get as much criticism as possible from the client. This helps me immensely as it helps me to eliminate what is not liked by the client. After this bout of frank honest criticism , I see light most times and I am able to deliver graphics to the client satisfaction. But sometimes , the case is hopeless and the communication with client is a total breakdown. In such case , I say good bye on an amicable note and move on. Mohit: Your Firm is very popular for website logo design but you are still into print designs too. Do you find the work flow of designing web logos any different from designing brochures or product labels? Logopeople: Yes there is a marked difference. Logo is always more difficult as it is the starting point of any branding. Logo requires immense input in terms of ideas and artwork. Once the logo is approved , then designing and developing print design like brochure, labels , poster etc is easy as the theme and style of branding has been set by the logo design. Mohit: Your Blogs at have always been filled with cleverly written articles on design philosophies which are maintained periodically. How important is a blog for any design company? Logopeople: A blog is essential to any design company not just for SEO purposes but also for establish the image and reputation of the company. Informative and engaging blog not just attract visitors to the website but also help to develop public relations with clients. Many informative blogs act as a beacon of knowledge for client. Mohit: I have met scores of dedicated Graphic Designers and have found almost all of them using adobe based softwares for graphic development. What is it you find in Photoshop that you cannot find in other softwares like Corel Draw or Inkscape? For readers having doubts, you can view their testimonial page and see for yourself. 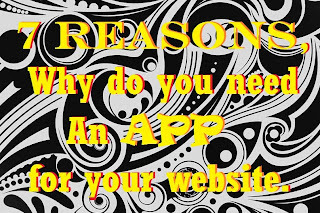 7 Reasons, why do you need an app for your website? Have a website and its not doing great? Want another way up? Then you're at the correct place. When you come through the article below you will have a renewed sense of direction and clarity. You will understand why is it better to have a cannon in a world of guns. My professor used to tell me, the road to success is always fraught with difficulties which can be overcome only by updation. At the age of 68, he used to subscribe to journals and used to buy books just to keep himself updated with the latest technologies. But as a student you are bound to experiment. (What happens if i do this? What happens If i mix this and that?) Applying the same concept to the web design and development sphere, I can ask the same question in a different manner, What if I mixed web design and android apps. The world is obviously android or ios savvy, If I look it in that way, by mixing these two different Things together I am swimming into an ocean of untold possibilities. But again it would need a lot of resources, energy and time too. Uncertainties will come surely. Questions will be raised, you ask and I'll answer. "Why android? I am getting pretty good comments and large number of visitors on my website. People do visit my advertisements and every thing looks fine. Why do I waste my time in app creation?" First of all,there is one figure that you must keep in mind,, 1.5 billion, that's right 'billion' about a quarter of the world population have a smart phone. imagine your reach with so many devices ready to display your website. Also you must have you heard of the pencil example by Swami Vivekananda? Agreed your website is performing better than ever everything's looking up, but what is you can soar even higher? creating an android app will give higher visibility to your website and thus providing you with more number of visitors swarming your site. wouldn't you like that? I have observed on multiple occasions that people are often lured by a good looking app towards the parent website in search for more material or functionality. A mobile app will let your readers instantly like your articles, give it a thumbs up, retweet, or give a Google +1. Websites are often looked done because of their higher loading times and erratic behavior on mobile platforms. But apps function well on almost every mobile device. Say Goodbye to the days when people come to your website because of a singular post on facebook or twitter. Now apps are the ones doing all the heavy-work when a new article comes in town. If you own an ecommerce website, special discounts will obviously grab more consumers. Reason 4: "I trust You, My love"
Psychologically speaking, people find websites with apps more trustable. This leads to more action based clicks and better sales from ecommerce websites. People do not see it coming when they are suddenly lured through apps into buying things. You will actually see the fumes coming out of your competitors head when he sees your new app and what it can do. An app will help you understand your consumer's requirements in a better way. A feedback from your loyal visitors or readers is always much appreciated. Provided you take it in the right sense. "OK, I get it, I'll make an app, but what is the concept? How is it different from the mobile website?" A mobile website lags in several things; a mobile website usually opens up in a browser only, so the user has to open up chrome, safari etc. and then type your web address or name and then search from the Google search listings and then arrive at the website to read the articles. An app will bring more life to the situation, more colors and much more fun! If you need a concept for the app, just wait for the next article. Today, we welcome our author Himanshu Sharma. Himanshu, an expert in Photoshop here explains all about How to create a Water color effect in Photoshop. So sit back and enjoy this detailed tutorial in Himanshu's words. In this tutorial on Photoshop, you will understand how to create watercolor effects using Photoshop and how to make a photo look similar to watercolor painting. This watercolor effect is suitable for photos which has rich colors with high contrast rather than minute details, since the effect can eradicate many of the minor details. It is very easy to create the water color effect by duplicating certain layers, application of certain filters and making use of certain layer blend modes. The entire thing just takes few minutes for completion and you can save it in different forms (.jpg or .gif) as you wish. This tutorial will explain how to simulate watercolor effect using some brushes in Photoshop. Step 1 : First create a new document by clicking File-- New and also create new layer. Now fill the layer with white background and rename the layer as texture. Now choose Filter and click Filter-- Texture-- Texturizer. You can use Canvas for texture with eighty percent scaling. Step 2 : Now open the image from file menu and add it to the document. You should delete the background of the image by using both Polygonal Lasso (L) and Path Tool (P) or with help of magic wand. Step 3 : Now use the Selection Tool to select the layer in which the girl is there. Now Go to Image-- Adjustments and choose Levels. You should enhance the whites here and choose Image-- Adjustments-- Saturation/Hue and change the level of saturation to -65. Step 4 : Now use the Water Color Filter present in Filter-- Artistic-- Watercolor. You can make use of below settings, Texture 1, Shadow Intensity 0 and Brush Detail 9. Step 5 : After selecting the layer of the girl’s image, Chose Layer-- Layer Mask-- Reveal All. You can select black color and mask the girl’s body using the Brush Tool (B). Step 6 : Now you can use the Watercolor brushes specifically designed for this purpose from Bittboxx website. Now choose a new layer and select the Brush Tool. Now you have to create new layer and use the Water Color brush tool with black color selected. You are designing the hair of the girl in water color style to give a realistic look. You can resize or rotate the layer after you finish the brushing. Step 7 : Now choose Blending options from Layer Style. Change the Opacity of the Layer to 0 and chose Color Overlay option. You can Use Red color and select the blend mode as Multiply. You can also use the Opacity to be filled as 70 percent. For Blend Mode use Hard Light and fill with Purple Color with Angle set as twenty degrees, Distance as 4 pixels and Size as 12 pixels. Step 8 : Now create another layer and use the Bittbox brush tool for designing a hair-style which looks creative and beautiful. Try to make certain paint brush strokes in the center of the screen and then rotate or resize the layer to fit it with rest of the picture. You should be able to generate a decent hair style as described in below picture. Step 9 : Now choose Blending options in Layer Styles and set Fill options as 0. Now select Color Overlay mode and Blend mode with Blue color selected and Opacity set as fifty percent. Now use Satin option for blending. Step 10 : Now use the same Brush tool again and paint the hair with different color say Green. You can reduce the size and add more hair and rotate it if required. Again Go to Blending options and set Fill Options as 0. Now Choose Color Overly with Blend mode set as Multiply, Green Color chosen and Opacity set as 100 percent. Now use Satin for the image. You can use the settings as Dark green with blend mode as Darken. Step 11 : Now repeat the process again with another Layer with different color. Then select the layer that has girl’s face and set blend mode as screen. Now you can make certain adjustments like adjusting the neck with regular brush and white color. Step 12 : Now you can add some Title to the image. Use the same brushes and fill the text with different color. You can also use Filters like Sprayed Strokes form the Filters menu. You can change the appearance to water color by choosing Filter-- Artistic-- Water color. This will give a creative look the image. 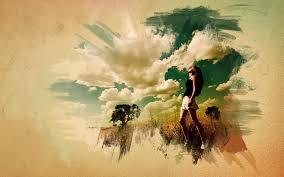 Conclusion : Finally you have got the image of a girl which appears as it was painted with water color. This tutorial explains in a simple fashion of how to add watercolor effects to a photo and applying different blend modes. You should also remember that the artwork will appear original as if it was painted with natural water colors. This is the entire procedure for creating Water Color effect in Photoshop. 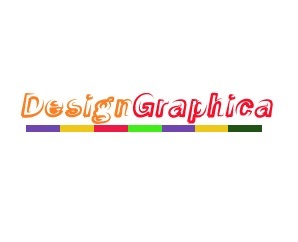 For knowing more about such graphics /design related information and tips, visit Design Graphica. 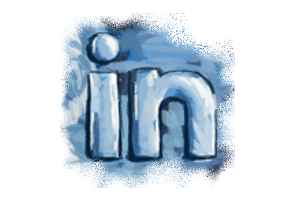 Believe it or not, LinkedIn just turned ten years old on May 5th, i.e. on Sunday. The networking Giant started in 2003 with an aim of connecting professionals all over the world. Let us have a peek at the insides of this two letter word. LinkedIn has acquired more than 200 million professionals in more than 200 countries. The company filed for an IPO in the start of 2011 and started trading under NYSE. Even After 10 successful years, LinkedIn still is fighting for its place in the social media. Its competitors include, Viadeo, Facebook, Twitter, Reddit, XING etc and the list still grows. Regarding Reid Hoffman, considered as the founder of the social Networking Giant, he grew up in Berkeley and went to high school at the Putney in Vermont.He graduated in Stanford and majored in symbolic systems. It was here when he delved into the human mind and its process of communication. Though he was one of the lucky ones who got a scholarship to Oxford to study philosophy, but he was adamant against academics. His First entrepreneurial stint was with Socialnet. In November 1999, he went to work at PayPal where he was a part of external relations. But soon time came when they had to sell PayPal to eBay and when most people thought that it was very bad year for the internet, Reid dreamt of starting LinkedIn in 2002. In 2009, Jeff Weiner joined as the President and just after 2 years the company went public. Reid Hoffman proudly shares his emotions on his blog. "Inspired by the invaluable role relationships played in our own careers, we launched LinkedIn with the tagline “Relationships matter." How do professional bloggers write such amazing articles every week? Some might even work on 5 to 10 articles at a time. Some work on just 2 to 3 really long articles with a lot of information locked up in a capsule. So the obvious question pops up, how can a blogger, manage to work on 10 blog posts at a time. 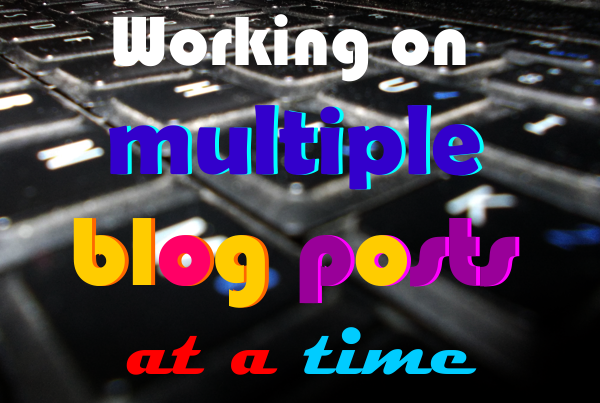 A professional blogger can work on up to 10 blog posts at a time. The multitasking allows them time and space to think about ideas both in quantity and in quality. The average number is 8 however. Organizing is the key to better and efficient content creation. Once you organize everything you can hold large number of articles at a time. This herculean task is obviously difficult for any blogger who doesn't organize. Now organizing your blog posts is just like organizing a research, you need to divide information into chunks so that you can better manage it. Let’s have a look at a typical case of a windows blogger (i.e. at the backrooms of codemakit.com). The main blog folder is divided into 3 headers. Blog Idea – It contains reading material, pdfs and pictures to help you understand the topics you’re working on. Blog Pictures – Contains templates for new images, incomplete image projects etc. New Articles – Contains all the new articles, that you’re writing, updating or written. As is evident from the screenshot in the New Articles folder, the Posts Title is usually thought-of before the article is written and the complete post with images, article snippets, source articles and pages from other websites is then stored in the particular folder. The folder system of storing the articles is presumably better and much more organized, so it removes the searching time and avoids the hassle. Now the complete blog folder (i.e. main folder) is filled with such individual folders containing one article each along with the source media. The folders can then be divided into four parts. Articles under construction – The majority of articles are under construction and most articles are either incomplete as per content or images/video or those which need more research. Completed - The articles which have been completed in every sense in the author’s view. They are touched only on the day of publishing. Articles to be Updated – It contains the articles which has already been posted long time ago but now needs a major remodeling, as with the passing of time, some articles become outdated and Some non-essential. Update – There are pieces of information which is needs to be added to an already posted article. It contains updated media (i.e. an image to spice up the article or a video to make it more interesting). This update will not contain the article as a whole but just the media to be added. In this interview, we’ll peek into the design methods and techniques of design whiz Veerle Pieters. With her award winning website Duoh.com and her detailed blog, she is considered as one of the authorities in new age design. Veerle Pieters was born near Bruges a left-handed who taught herself to be an ambidextrous. 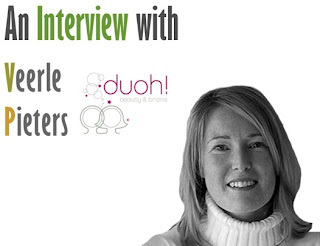 She began her career in 1992 in print, focusing mainly on logos, stationery etc and web Design 1995. She founded Duoh! In 2000 with her loving partner Geert Leyseele. Her dream is to be certain that I contribute in small but important ways to making the "interweb" a better place. Mohit: Your designs are always dripping with originality and detail, how do you manage to bring out such beautiful yet meaningful designs? What is your inspiration? Veerle: My inspiration comes from what I see around me and from what I catalog on my Inspiration Stream. I try not worry about trends and just do my thing. When you start a project listening is an important part so you understand what the client needs and you have enough information to translate all that in a design. Mohit: You have designed Web, CMS, Logos, Illustrations, Icons and even print. What is your favorite category for work? Veerle: Print still has a bit of an edge because there is nothing that beats having what you created in your hands. The smell of print, the tactile feedback of paper etc. All in all I like the diversity in what I do. The fact that I can switch to coding when I hit a wall in a design for example. Mohit: I went through your entire website and found it hard to find your twitter link on your homepage, why did you avoid any link even when you had 1500 followers on twitter? Veerle: There is a Twitter link on my homepage but it’s way down in the footer. For me personally Twitter was never about have a big amount of followers. I never actively promoted my Twitter so that people would follow me. For me this is just a channel to share what I am passionate about and a channel for helping people by sharing great resources. It’s simple really; if you have something interesting to say people will follow you. Mohit: You have a string of impressed and satisfied customers, How do you manage this feat, Is it your charges or your work? Veerle: I always try to do my best for every project. 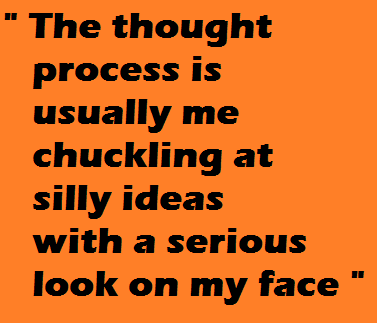 Not always easy but I assume that’s what clients appreciate. If you deliver great work and try to find solutions when problems occur clients will return for more. It’s a two way street and about giving & taking. Mohit: You have been in design business for long, you must have had hardships. What is it that keeps you going? Veerle: The first 5 to 6 years I really struggled to earn enough to make a living. Times were really different and the Internet wasn't around. You had to go out and find clients. Not an easy task if you became a freelancer right out of school because nobody would give you a job. There were a few things in my portfolio but I always heard the same excuse ‘lack of experience’. That’s why I started my own business. Only problem was that I focused on the wrong clients, little shops that demanded a lot for very little money. Things only started to change when I got out of comfort zone and hit the road to visit business parks to introduce my work and myself. The only thing that kept me going was that I love what I do and that I knew this was what I love waking up for. 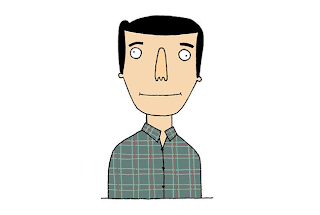 Mohit: Last but not the least, what advice would you give to amateur designers? Veerle: Don’t loose the passion for what you do even if you fail from time to time. Failing is all part of what we do everyday. Another important aspect is that the learning process never stops. That’s why you need to be really passionate. There is always something new to discover and you are never sure if what you learn today will still be around in a few months. The learning process never stops. Modern Home Design, where you'll be convinced that design extends beyond the web. Veerle's interview was both informative and fun, but another designer turns heads too. Check out the interview with Jacob Gube of Six Revisions. Oh and did I mention, his is a page rank 6 Website! Bloggers are often faced with the obvious question, when should they post, how often do they post in a week etc. Find out the ideal blog posting schedule depending on the growth you need for your blog. 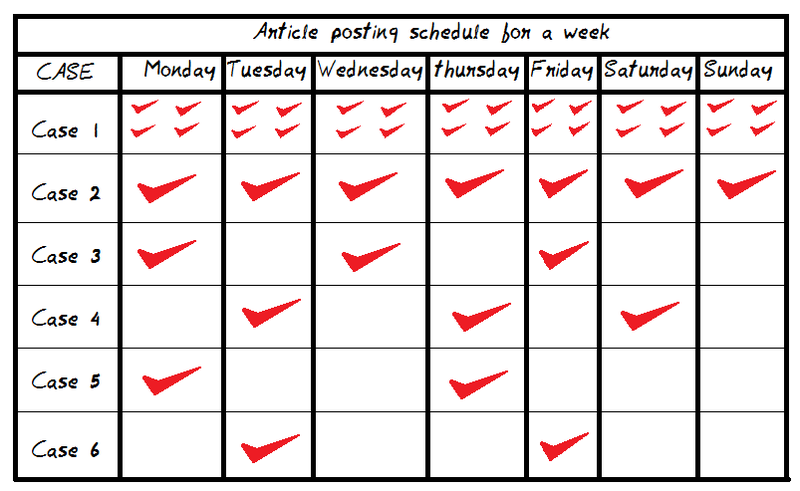 Choose which schedule suits you and apply it on your blog. The answer lies in a very grey area, where you could never point when should you post so that your blog reaches the heights you've never believed existed. Another previous article about, when should I post my blog article explains pretty clearly about the frequency of posts for the growth you expected. The following list provides you with the optimum number of posts in a stipulated time limit as per your growth expectations. The freqency is pretty clear in the above list, but now the question comes, If I have to post, suppose 3 articles in a week, I'll have to create a posting schedule, So how do I do it? Here,s your answer, The following table will ease your mind off the hassle of creating your own posting table. Let us see the cases individually and determine which one will suit you best. Case 1: Lets Bloat-up-our-website case. A very peculiar case, If you could manage this then no doubt, the blog or the website will reach the stars in no time. What will happen when you follow this case: blog audience will go through the roof. Bounce rate will reduce to near 20% or less. Average visitor time will exceed 4 to 5 minutes. All in all; every blogger’s golden dream. But you would also have some disadvantage. 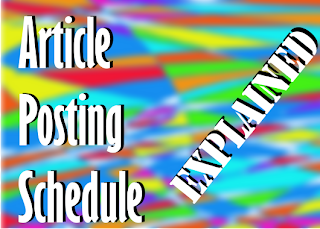 If the blog is managed by a single blogger, this posting schedule is simply impossible. If it is managed by 3-4 bloggers, then everyone will have to churn out an article every day. This might go well for some time but, after sometime they would transform into potato bloggers. So if you ask for an optimum number, 8-10 bloggers would be nice enough to start with. A very ambitious project no doubt. People will be forced to visit the site every day for new content. What will happen when you follow this case: Blog audience will not shoot through the roof, but will definitely escalate. You will have respectable earnings if you indulge in ad services. Bounce rate will fall near 40-50% (but you could always improve your bounce rate more your expectations). Average visitor time will also be good enough. But there are some disadvantages too. Such ambitious project cannot be handled by one person alone, one would need at least 2-3 people for smooth posting every day. Otherwise, it will be too much pressure and too less time. One of the most popular posting schedules, a growing blogger undertakes. Simple as it is, The blogger attempts at posting 3 articles in a week (excluding Sunday) properly spaced together i.e. you must give a day rest to your blog, so that visitors get time to read it. You can either use a Mon-Wed-Fri schedule or a Tue-Thu-Sat schedule. Either way, you blog is bound to grow better than ever. Your bounce rate will slowly decrease to an appreciable limit and your average visitor time will increase too, not to forget decent earnings from blog advertisement. Such schedule can be managed by one person alone without problems. But you must be patient, cause good things don’t happen too soon. A case where the author sees his blog visitors and says “Meh…”. Such type of blogger is expected to blog 2 times a week. But another thing that must be seen to is that the posts must be evenly spaced together. So if you blog on Monday then you must blog next on Thursday Or if you blog on Tuesday then the next post must come on Friday. Though this will not have any exceptional changes in the blog audience, you will not be the one seeing your blog go down. Regularity in publishing new articles will help you increase your visitors and improve your website parameters. Check out the case-study where a website doubled its visitors using this method.